It’s a solid, efficient and fully wireless speaker that sounds great and boasts a sleek and attractive appearance. Portable Bluetooth speakers are one of the most demanding sound devices on the market. The ability to take a nice looking speaker with you outside and listen to a clear crisp sound whenever you are is priceless. But with more offers, it is difficult to find the one that sounds great, looks good and has a decent price tag. 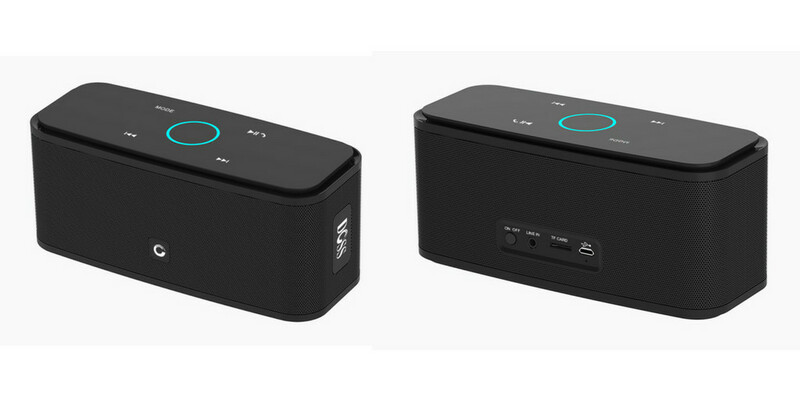 Meet DOSS SoundBox, a portable Bluetooth speaker with a great sound and an even better price. BOTTOM LINE: The DOSS SoundBox can beat a lot of competitors in the $100+ range with his sound quality. The sound performance is really fantastic for the size and cost. 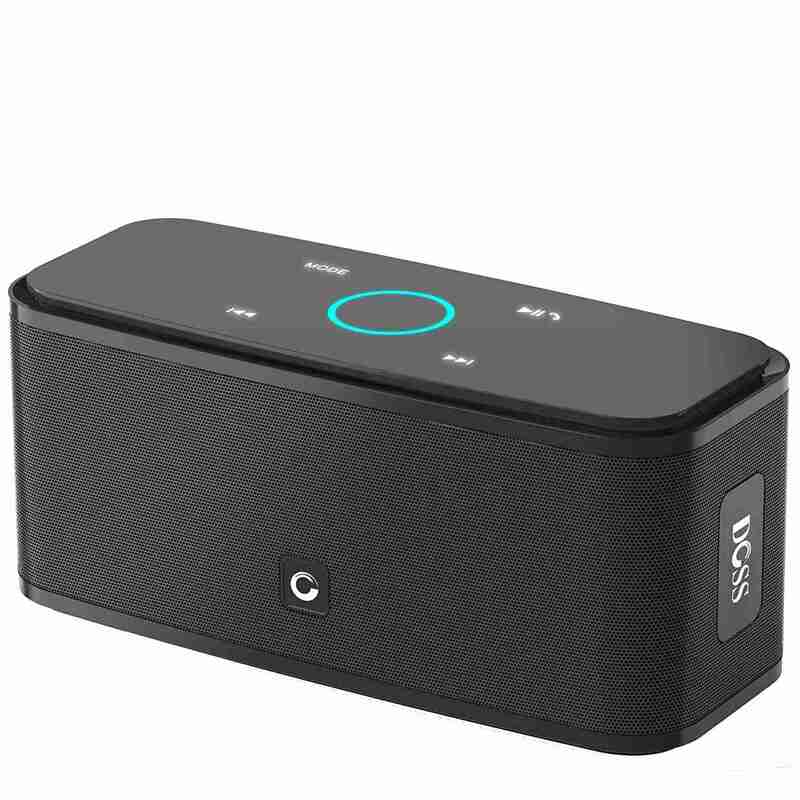 DOSS SoundBox (DOSS Touch) is a small, lightweight, but still durable speaker with good sound and a large variety of features. What´s more, it is a good low-cost option for everyone on the strict budget. We are sure that the sound is the main feature for a speaker, but it is still an advantage when you have a nice-looking piece of technology in the home. The DOSS Touch has a sleek and sophisticated design and comes in three different colors – White, Black, and Blue. With the dimension of 6.6 x 2.9 x 2.7 inches, it isn’t the most compact speaker we have ever seen, but it feels really durable in the hands. When we take into the account that this device belongs to the cheap Bluetooth speaker’s category, the sound quality is impressive. Of course, not so great such as three-hundred dollar speaker from the product name, but it provides better sound than many other speakers at this price range. It is clear, without distortion on high volume, the lows are not dominating or overdriven, and has a full, rich bass. Today’s world is connected, and when we looking for new devices, they should have this option. 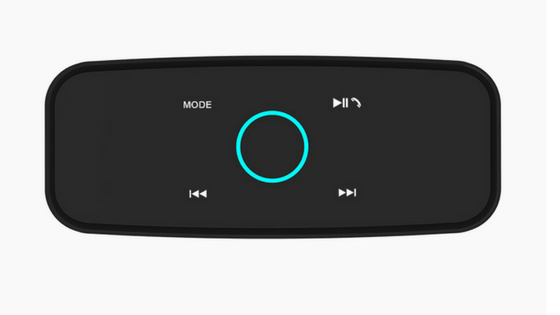 The DOSS Touch is equipped with newest Bluetooth 4.0 technology but has still the old 3.5mm auxiliary input. It can connect to your Bluetooth devices, even from up to 33 feet range (10 meters). The pairing process itself is pretty simple. 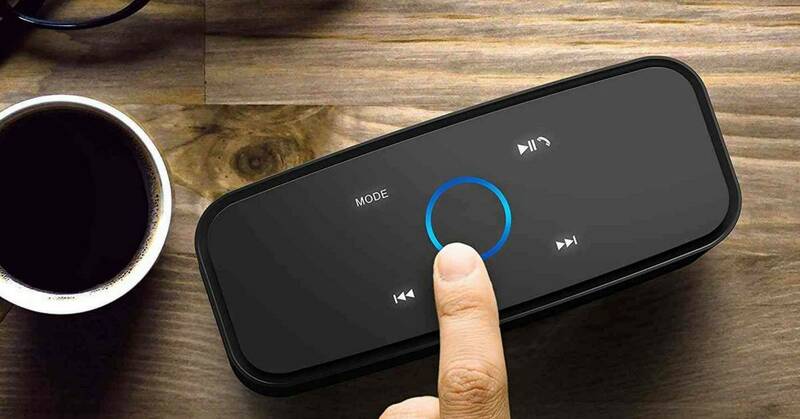 All you need to do is enable the Bluetooth feature on your smartphone or tablet, and keep the play button on the speaker for a few seconds pressed. Another great feature where the DOSS SoundBox excels is the battery life. The unit included Li-Ion 2200 mAh rechargeable battery that will keep your speaker for 12 hours alive. Pretty impressive. The bright light for the touch buttons cannot be turned off. This can be uncomfortable in the dark. 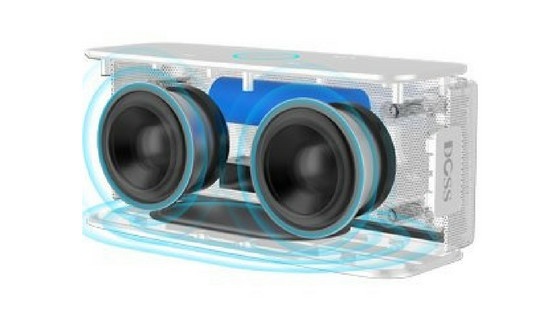 This DOSS SoundBox speaker is a great choice if you are on a budget. Maybe it is cheap, but the DOSS SoundBox can still beat a lot of competitors in the $100+ range with his sound quality. The sound performance is really fantastic for the size and cost. This is one speaker you don’t want to miss. For those of you who are on the budget, we have here two cheap Bluetooth speakers in the $40 categories. NOTE: Don´t expect the design and sound quality of the $100+ pieces, but they are still good value for the money. The Anker SoundCore is without a doubt one of the best speakers you can get if you don´t have a lot of money to waste. Great and clear sound performance, 24-hour playtime and 66 feet Bluetooth range. Read full Anker SoundCore review. An easy-to-use speaker and for the price, a great choice. Easy to charge and simple to connect with any auxiliary cable. Full Cambridge OontZ Angle 3 review. Maybe it is cheap, but the DOSS Sound Box can still beat a lot of competitors in the $100+ range with his sound quality.